Here is our second face related word of the day. 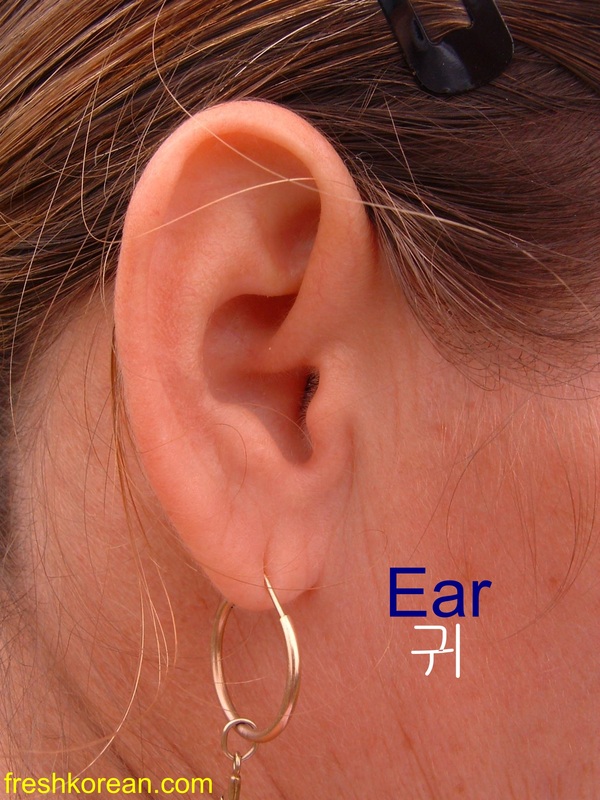 Today’s word is Ear(s) or 귀. There are only a few words which include 귀 and here are a couple: Earring is 귀걸이 (Gwee / Gol / Ee) and Earplugs is 귀마개 (Gwee / Ma / Gae). Hope hope you’ve learnt a little Korean today and we hope to see you again tomorrow for another Fresh Korean Word of the Day.